Set up an easy way to track your expenses, otherwise you'll lose. If you're into home staging, you're a creative person and unlikely to enjoy keeping track of your expenses. But, if you don't develop an easy system, you'll end up paying more in taxes and buying unintended "gifts" for your clients! Let's say you're out buying bedding and other accessories for a client; before you leave the check out, write the client's name at the top of your receipt. Then it's easy to sort by client later. Don't forget to identify your own business expenses, which you'll want to claim to reduce your taxes. Things like gas, office supplies, flowers and parking fall into that category. If you purchase items for a client and you are giving them the receipts, make sure you keep a copy too. You will need these photocopies to account for your purchases as a business expense, which will offset the income you report from charging your clients for these items. If you fail to deduct the expense, you'll be paying more than you should in income tax. We also discuss this and related topics in the Staging Diva Training Program, course 2, The Business of Home Staging: What you need to start and how to grow"
A real estate agent team in Fullerton CA wants to create and promote a home staging service in partnership with Staging Diva. A Concord CA-based agent wants to create a master list of home stagers covering Contra Costa County. This fascinating book explores, among other things, how and why real estate agents and brokers are losing their power. It also supports my argument for why many agents believe they have a vested interest in NOT recommending home stagers. If you're serious about building your company image, don't neglect your logo. Does your logo project the professional, design-oriented company you are trying to build? Do you feel a tinge of embarrassment when you hand out one of your cards? Here are three logos from listings in the Staging Diva Directory. All enhance the stager's credibility. They are linked to their directory listing if you want to learn more about these Staging Diva Graduates. The Staging Diva Network (online discussion group) is a supportive community where you can share the joys and challenges of building your business. - Dealing with challenges, marketing and more! September and October have been busy with lots of homes to stage and a move to a new system so that when you purchase from stagingdiva.com, you get your materials immediately. When I'm out staging a house, you won't have to wait until I get home to send your course materials or ebooks, you'll get them as soon as you order. Automation is great, but it's been quite the challenge to implement! In last month's issue I incorrectly said you'd be getting an email that you'd need to reply to if you wanted to continue to receive this newsletter. I've worked around the problem, so don't worry. You'll continue to receive this newsletter until YOU choose to unsubscribe. Thanks to all of you who wrote expressing concern about being dropped from this list. I'm pleased to know that my content is meeting your needs! I hope you find the content of this month's issue of Staging Diva Dispatch helpful; and I welcome any feedback! These are examples of the project locations I've had over the last few weeks without recommending someone: Bend (OR), Montreal (QC), Houston (TX), Yorba Linda (CA), San Fernando Valley (CA), Kelowna (BC), Toronto (ON)- many projects! It's incredibly time-consuming playing matchmaker for hundreds of leads and then finding out who's in that market, contacting them, etc. If I don't immediately know who to send a lead to and that they'll be ready to handle it, most project leads are now being posted at my blog. You can read about new home staging projects anytime under the category Staging Help Wanted, and contact me directly if you're interested. Many home stagers, price their services by the room or square foot. This is a huge pitfall that can mean the death of your home staging business, because you'll burn out long before you make a living. Many factors that are beyond your control will influence how long a home staging project takes, and you won't know about them until you're actually into the project. I've had 2,500 square foot homes that took less time than 1,000 square foot condos, but it didn't matter because I don't price by the room or by the square foot! My goal isn't to sound negative, I believe home staging is one of the best careers out there for creative people who enjoy decorating and have an interest in real estate. I want you to think about the many things that can happen in the real world so you can avoid boxing yourself into a corner by quoting a rate upfront of $X dollars per room or per house. Staging Diva Graduates are covered for all these eventualities if they follow the pricing strategies I recommend. In fact, any of the above time-sucking factors just mean more income for the home stager. To learn more about how to avoid these pricing pitfalls and how to earn what you should as a home stager, check out Course 2 of the Staging Diva Training Program "The Business of Home Staging: What you Need to Start and How to Grow". If you've been trying to decide when to take your home staging training, or you still have a course or two to complete, please note the price for all courses is going up on Wednesday, November 1. Even at the new prices you'll be able to make back all the cost of your training with one good project, but I just wanted to give you advance warning of this change. As of November 1, the Staging Diva Home Staging Training Program including ten hours of live classes with me (or recordings), plus over 50 pages of notes and the Staging Diva Home Staging Checklist will be $895. Single course recordings with notes will be $199. You'll still s.a.v.e $100 when you purchase all 5 courses in one transaction, but you'll s.a.v.e an additional $100 if you order before November 1. The Staging Diva Directory welcomes Laurie Mahoney of Designed Staged and Sold, Inc. of New York. 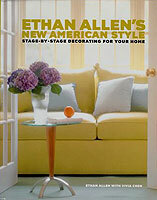 As the Ethan Allen Designer/Stylist she worked on the coffee table book, "Ethan Allen's New American Style: Stage-by-Stage Decorating for your Home." Congratulations to Joy Nan of Decorating Studio NJ who took what she learned after one Staging Diva course and presented to 50 real estate agents. She immediately got two projects for homes that had sat on the market for over a year. Congratulations to Carolyn Carter, Done In Day Inc. who booked more business in her first six months after taking the Staging Diva Program than she had the whole previous year. And she just completed taping of a segment on staging for a TV show called HouseSmarts. The October issue of Canada's largest decorating magazine, Canadian House & Home features my "how to hire a home stager" tips for homeowners and includes the fact that there are no real credentials so clients should be wary of anyone claiming to be "accredited". 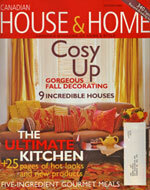 The article also invites readers to visit the Staging Diva Directory to find a stager in their area. Many of the Canadian graduates have already picked up new projects from this publicity. I'm the featured expert in "The Art of Seduction in Real Estate," episode 5 in a series promoted by Bravo TV in Canada and Sundance Channel in the US. I haven't heard it yet, but it should be a 20 to 30 minute feature, launched later this month. Episode 3 featured Canadian Minister of Foreign Affairs, Peter MacKay, in "The Art of Seduction in Politics." My goal in participating in "The Art of Seduction in Real Estate" was to build understanding and awareness for home staging and build traffic to StagingDiva.com. This will enhance the value of membership in the Staging Diva Directory as more homeowners and agents go there looking for a stager. I wrote an article for the Century 21 Heritage newsletter going out to 3,500 homeowners throughout Ontario promoting the idea of home staging in general, and the Staging Diva Directory in particular. This is one of the many marketing ideas discussed in course 4 of The Staging Diva Training Program and it's sure to generate project leads for local graduates. The Staging Diva Directory of Home Stagers, created 9 months ago, has generated at least $30,000 in home staging projects for Graduates. As media exposure and search engine ranking grows that figure will rise exponentially, especially with new Graduates joining. Learn how you can get staging projects from your directory listing.